A POW was released from captivity in Russia in 2000. 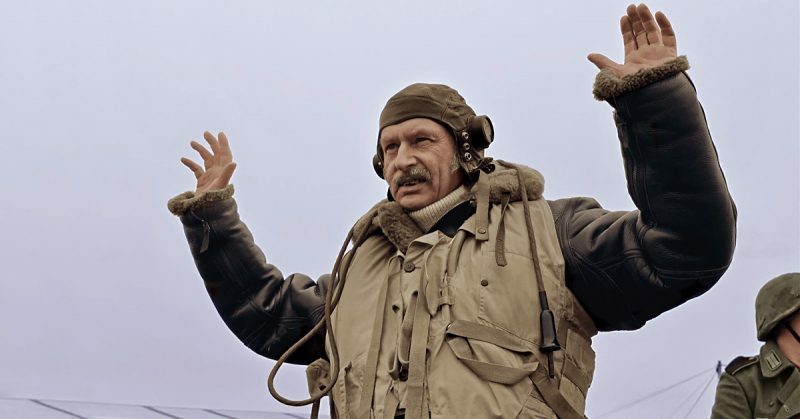 He wasn’t taken prisoner in Afghanistan in the 1980s, Russia’s most recent war at that time. No, he had been held in captivity in a Soviet/Russian psychiatric hospital since World War II. His name was Andras Toma, and he was the last POW of WWII. One of the weapons that the Soviet Union used against its enemies was putting them in “psychiatric hospitals” or asylums. Throughout the 1960s and ’70s, the regime put dissidents into these places for a number of reasons. First, to punish them. There were legitimately disturbed inmates there who could make a person’s life a living hell – especially for extra rations or privileges. Second, the regime could say to the public, “This person is insane. Nothing they say can be trusted. They are not well.” This was thought to de-legitimize any opinion a dissident had. Third, many dissidents were subject to gross “psychological” experiments involving drugs, electric shock, and other unethical treatments. For the legitimately ill, Soviet mental institutions were not much better. The same restrictions that are placed on psychiatric professionals in the West simply were not in place. This was true after the fall of the Soviet Union as well. Drugs, abysmal care, bad food and apathetic staff filled many of the Soviet Union’s psych wards. 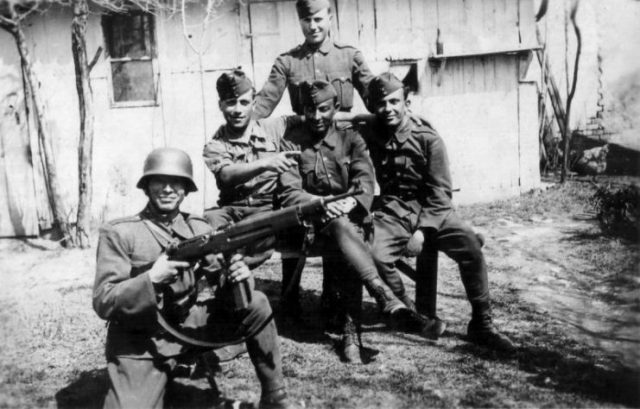 Hungarian soldiers in the Carpathian Mountains, 1944. Andrea Toma had been placed there in 1945. He had been captured in defense of a small city in Poland in 1944. Hungary was an ally of Germany until almost the last days of the war when the Soviets threatened to virtually raze their country to the ground if they didn’t switch sides. Mr. Toma was taken prisoner before the Hungarians saw the writing on the wall. He was listed by the Hungarians authorities as missing in action and eventually was counted as dead. Toma was placed in a Soviet POW camp with a mass of German prisoners. He did not speak German, and the Germans spoke no Hungarian. Nor did any of the Soviet guards or authorities speak Hungarian. As a matter of fact, they thought Mr. Toma was speaking gibberish. 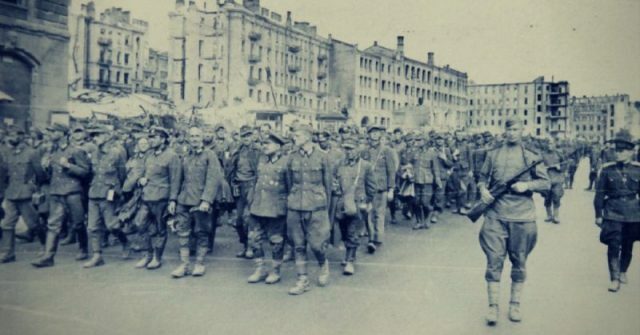 Axis POWs in Moscow. 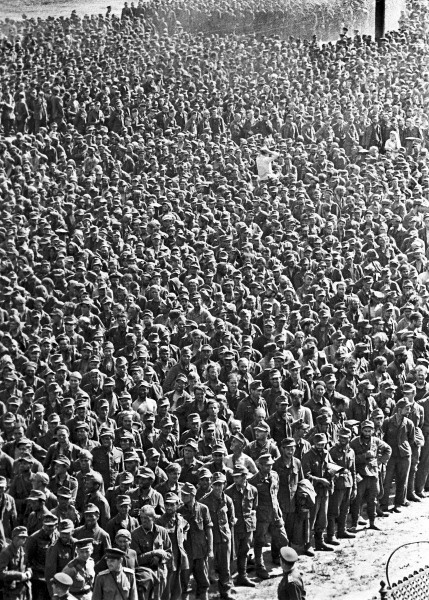 Operation “The Great Waltz”, the parade of 57,000 POWs was held on July 17, 1944. Hungarian is virtually unrelated to any other language in Europe. It does share very loose ties with Finnish and Estonian, but they are not mutually intelligible, as are Swedish/Danish and Norwegian, for example. In the uncaring, rushed environment of WWII and the Soviet prison/hospital system, no one knew what Mr. Toma was saying – nor did he seem to have the ability to learn Russian, other than to be able to convey basic needs for food, water, etc. In 2000, a Slovakian linguist, called in by the Russian authorities to see if he could crack Mr. Toma’s language, identified it as Hungarian. When he returned to Hungary later that year, many people were outraged that no one in fifty-five years managed to care enough to find out what Toma’s story was, and that no one recognized the language he was speaking – that of a long-time Soviet ally. After speaking with Mr. Toma, who unsurprisingly was a quiet, somewhat withdrawn man who showed signs of PTSD, Hungarian authorities did much research and narrowed down his identity. This was made more difficult by the fact that hospital authorities had listed his name wrong. A surviving brother and sister were found, and immediately, though they were much younger than Andras, knew him immediately – he was the spitting image of their father. DNA tests confirmed this. Upon his return to Hungary, Mr. Andras’ memories came flooding back. He had been trained as a blacksmith and was inducted into the Hungarian Army in 1944. He only fought briefly before being taken prisoner. Mr. Toma barely lived a life. Taken prisoner at 19, he was released at 74. He spoke an older version of Hungarian that was sometimes difficult to understand. He also had very little awareness of the passage of time, having spent most of his time in isolation. When he was told he was going to be shown a movie of events of WWII, he moved his chair to the back of the room, so that he could see the whole movie screen – only to be disappointed when he was shown the movies on a TV, which he had never seen. The Hungarian government recognized the sacrifice that Mr. Toma had made. They paid him his back wages – for 55 years. He spent the remaining years of his life being cared for by his sister. He passed away in 2004, having spent most of his life in captivity, a victim of war and apathy who lived in the horror show of Soviet psychiatric hospitals for decades.